Vincenti's Old-School Italian Food Still Reigns Supreme in L.A.
Maureen Vincenti, the queen of Brentwood’s Italian-food scene for over two decades, says she plans to operate the restaurant for as long as she can walk. There was a crazy span at Brentwood’s Vincenti Ristorante about six or seven years ago. This isn’t a story about how dover sole can induce labor. 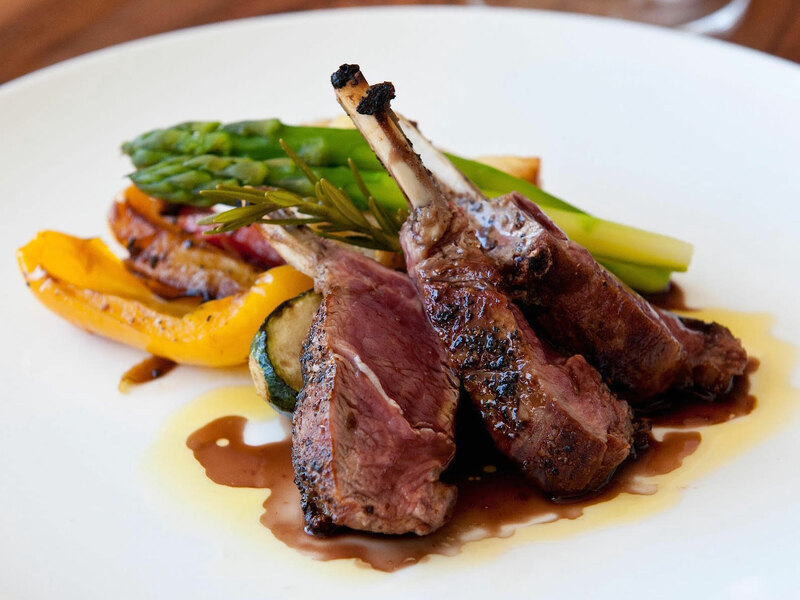 Vincenti, a highly respected restaurant that’s long been known for serving some of L.A.’s finest Italian food, is just where a lot of people go to eat classically luxurious dishes like dover sole, rack of lamb, and truffle-topped pastas. Although children are welcome here, this is a restaurant that attracts grownups looking for an elegant experience. This is a restaurant where you can have a conversation, where the tables and banquettes are far enough apart, and the room is quiet enough to attract a lot of lunch meetings. This is also where people go for date nights, on evenings when they have babysitters but also much later in life after they’ve sent their children off to college. There’s one couple who’ve been coming to the restaurant once a week for all 21 years of its existence. They don’t look at the menu. Maybe they’ll ask what the pasta special is. The order is almost always a pasta to share and then some dover sole that’s been roasted in the wood-burning oven. Maureen opened Vincenti in 1997, the year after her legendary restaurateur husband, Mauro, the man behind downtown L.A.’s Rex Il Ristorante, died. The couple had been talking about the possibility of closing Rex, which had been on a glorious run since opening in 1981, and starting a restaurant on L.A.’s Westside. But the circumstances that led Maureen to opening Vincenti were sudden and unexpected. Mauro got sick with cancer and died a year after the couple, who had been together for close to two decades, got married. Maureen says she never cared about getting married, but Mauro insisted because he wanted to make her parents happy. Mauro was 53 when he died. Maureen, who was 40 at the time, had to quickly figure out what to do next. It really helped when she realized she didn’t have to do it alone. When Maureen and Mauro lived in L.A.’s Toluca Lake neighborhood, there were always chefs or waiters staying in their house. Mauro recruited a lot of talent from Italy and gave them a home in L.A. until they were settled enough to find their own places. At one point, Maureen remembers, there were four chefs and four waiters and a couple of their staff’s family members living in their house. After Mauro died, some of his friends invested in Maureen’s new restaurant. Mauro’s chef at Rex, Gino Angelini, committed himself to opening the new restaurant and staying there for a while. Mauro had two sons (who now have their own children, including a new baby boy Maureen has enjoyed seeing in L.A.) from a previous marriage, but Maureen doesn’t have children of their own. Still, she says her “maternal instinct” kicks in every day when she’s at Vincenti and taking care of everyone there. She lives across the street, so she’s almost always at Vincenti, checking in on people she’s known for more than two decades, including both customers and employees who came over from Rex. Brentwood has a lot of old-school Italian restaurants, but Maureen, 62, is the queen of the scene. She’s become something like the nonna of Brentwood, someone with customers whose children have had children since Vincenti opened. Chef Nicola Mastronardi has been at Vincenti from the start. He and Angelini were both discovered by Mauro in Rimini, Italy, and both chefs worked at Rex. After Angelini left Vincenti to open his own restaurant, Mastronardi took over Vincenti’s kitchen. He’s attracted regulars with his housemade pastas as well as the restaurant’s commitment to scouring Italy and flying in the best ingredients, including cheeses, salumi, and porcinis. “Sometimes, we feel as though we are dinosaurs in keeping with certain traditions of Italian cuisine and product,” Maureen says. But that’s fine with her. Vincenti has recently been serving white asparagus from Bassano del Grappa and white radicchio from Castelfranco. The restaurant proudly offers Mediterranean fish like branzino and turbot. Depending on the time of year, customers can enjoy black truffles from Norcia or white truffles from Alba. At the same time, Mastronardi is cooking in L.A., so he also uses local farmers market produce, of course. And compared to two decades ago, people have a lot more food restrictions, so he’s got gluten-free pasta options and is ready to deal with assorted allergies, real or imagined. Plus, Maureen and her staff have been adjusting to other ways L.A. dining has changed. 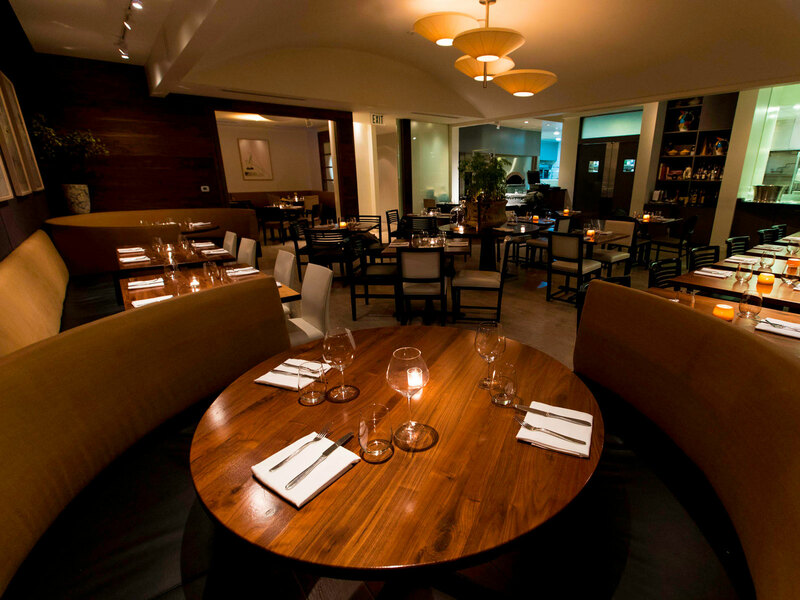 A couple years ago, she remodeled Vincenti to make the dining room more modern and airy. She also got rid of white tablecloths, although she makes an exception for certain regulars who insist on dining with a linen-covered table. Maureen was resistant to an automated reservations service at first, but finally got on Opentable about three or four years ago. She was resistant to even doing any take-out orders but was convinced to offer delivery via apps like Postmates and Grubhub last year. Making food for delivery has been an adjustment for Mastronardi. So there’s been a lot of quality control when it comes to delivery, including Maureen sending food to friends and calling to make sure everything was good. In recent years, Maureen’s noticed a lot more people, including single women, who visit Vincenti to dine at the bar. Maureen wants to add quicker lunch options for people who need to rush back to work. Maureen misses those days, but this is hardly a restaurant stuck in the past: The renovation attracted new customers, and it amused Maureen when she realized that there were longtime neighborhood residents who saw the construction and thought that Vincenti was a new restaurant. Whatever works to bring in new business is good with her. Vincenti, a preferred destination for Brentwood/Santa Monica society, has recently appeared on Curb Your Enthusiasm. (Larry David and other people who work on the HBO show have been known to eat here). You can also see Vincenti in the recent films Book Club and Home Again. This is an L.A. institution that isn’t close to giving up the spotlight. Maureen says she plans to operate Vincenti for as long as she can walk. She had her own cancer scare about eight years ago and thought about stepping back a bit. But she got through it and decided there was no reason for her to stop running her restaurant. She says she’s finally started looking to hire a general manager, a role she’s never filled. She knows having new staff that’s younger than her can help attract a new crowd. And it would be nice to relax a bit while continuing to greet her customers every day. “I would love to be like Maude Chasen, who would just show up and be dressed so elegantly,” Maureen says, referring to the iconic restaurateur who ran Chasen’s in Hollywood for decades. Pizzana opened not far from Vincenti in Brentwood last year and has brought a new crowd into the neighborhood. Popular Italian-American restaurant Jon & Vinny’s is opening an outpost on the same block as Vincenti. Jon & Vinny’s will offer a different vibe, more chill and kid-friendly, and Maureen sees this as good for the neighborhood and for her restaurant. Maybe there will be overflow at Jon & Vinny’s that pops into Vincenti for some wine or a cocktail. Maybe, I suggest, that turns into a quick food order at her bar? She has no succession plan for her restaurant, but Vincenti, like Rex before it, has a legacy. Angelini remains one of L.A.’s most influential chefs. Maureen knows that she and Mauro have brought over so many people from Italy and changed their lives and also the L.A. dining scene. She enjoys having the perspective that comes from knowing how so much has changed. Getting salumi from Italy isn’t hard now, but she remembers how Mauro, back at Rex, had to illicitly acquire Italian cured meats for a VIP wedding by hiding the pork products underneath fish. She also tells me a story about how the usually even-tempered Angelini once kicked a rotisserie chicken from the Vincenti kitchen into the dining room, nearly hitting a waiter. The kitchen was in hysterics when the staff saw that the head chef, who was upset because his pastry chef had bumped him and caused him to drop a couple chickens, had propelled the chicken so vigorously. For a while after the incident, there was a rubber chicken in the kitchen as a reminder of what had happened. This was nearly two decades ago, another era, really. In 2001, Angelini opened Angelini Osteria, where he mentored talent like Ori Menashe, who was chef de cuisine for four years and went on to open Bestia. In 2016, casual coffee bar/market Angelini Alimentari debuted next to Angelini Osteria. 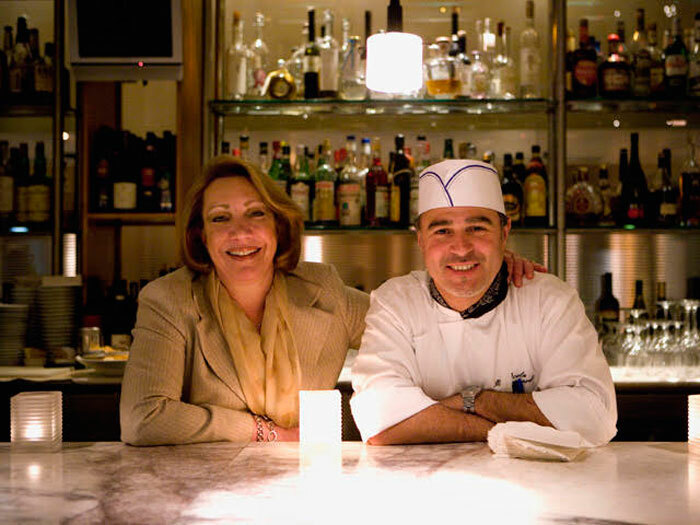 All the while, Maureen and Mastronardi have kept the lights on at Vincenti. Two decades later, she still goes into Vincenti every day before lunch, stays through lunch service, and then returns for dinner after going home for maybe an hour in the afternoon and changing her outfit. “I still continue to eat Vincenti food every day with joy,” she says. And she still sees so many familiar faces, both working in her kitchen and sitting in her dining room. “I feel blessed to know all the people I know,” she says. “I am proud to still be standing here after all this time. This is my home. I feel like I have a lot of children."